Welcome! You have reached the official online home for the Brigadier General James Robinson "Robbie" Risner Squadron of the Arnold Air Society's Area X, "We Are The X-Factor!" Our squadron is based out of AFROTC Detachment 002, "Second to None! ", of California State University San Bernardino. We serve the SoCal area proudly and to the best of our abilities. If you would like to learn more about our squadron and the Arnold Air Society please feel free to explore our site. 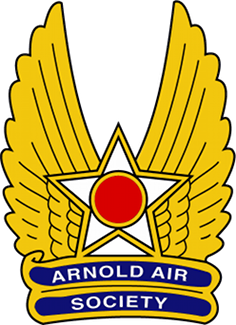 Arnold Air Society is a professional, honorary, service organization advocating the support of aerospace power. AAS is formally affiliated with AFROTC and the Air Force Association. It is a national extracurricular organization available to Air Force ROTC and Academy cadets. The following three objectives were adopted by AAS to enhance the Air Force Reserve Officer Training Corps (AFROTC) and the United States Air Force Academy (USAFA), and to project the image of the United States Air Force on the university campus and in the surrounding community. 1. Create a more efficient relationship among Air Force officer candidates, in particular within the AFROTC. 2. Aid in the development of effective Air Force officers. 3. Further the purpose, traditions, and concepts of the United States Air Force.